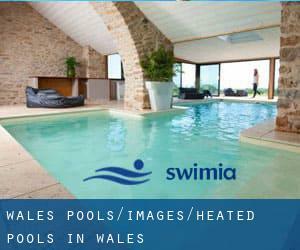 Looking for Heated Pools in Wales? Lots of of them belong to gyms or sport centres which also offer lessons. Please, use the contact information supplied at every pool profile. Traveling to Wales? This is the proper spot on the internet to find locations to swim in Wales. Each day you're not swimming you are losing precious time to improve your abilities a be a far better swimmer! No much more excuses!. Please check the nearest Pools or Contact us to ADD IT. It is totally free! Not all countries are the exact same, and swimming regulations and rules are changing from one country to a different. Thanks to some new Heated Pools in Wales submitted every single day, Swimia.com is escalating daily the number of stored pools. Please don't hesitate to get in touch with us if you find any inaccurate or incomplete information. Swimming is a great idea to help keep your body active during your visit to Cardiff (Wales), or perhaps if you are a local. Swimia assists you to find your closest Swimming Pool in Cardiff. Holding an estimated population of 170.883, Swansea is one of the most important cities in Wales. Check all the Pool in Swansea and its surrounding region. Without a shadow of a doubt, swimming in Newport is the best technique to unwind after function. Take a couple of minutes to browse Swimia's catalog to find a Swimming Pool in Newport. Let us tell you a secret to switch off while you're in Barry: just select a Pool in Barry and plunge into the water! There's no even more effective system. Whereas Rhondda is among the six most populous cities in Wales with nearly 59.450 residents, you shouldn't miss that one if you're going to Wales. It's hard to visit Wales without dropping by Cwmbran (with 48.157 residents). 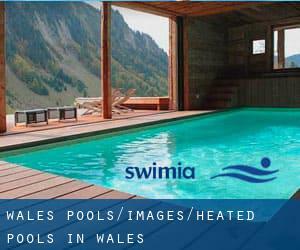 Currently Swimia is showing you all the Swimming Pool in Cwmbran as well as the closest pools located in its vicinity. Updated on 2019 Gelligaled Park , Ystrad , Wales , UNITED KINGDOM (Postal Code: CF41 7SY). Swimmers like you reported 25 meters, 5 lanes, 0.5 meters - 3.0 meters depth, 0.5 meters - 3.0 meters depth, Indoors. Unfortunately we do not have the email address of this Pool, but we can provide you with the phone number. Updated on 2019 The Old School Grounds , Station Road , Narberth , Wales , UNITED KINGDOM (Postal Code: SA67 7DU). Among all the activities offered by the centre, when you are interested in swimming you'll take pleasure in 20 meters x 7 meters, 0.8 meters - 1.5 meters depth, 0.8 meters - 1.5 meters depth, Indoors. If you will need to contact this Pool, email address and phone number are both number. Updated on 2019 On the grounds of Bush School , Pembroke , Wales , UNITED KINGDOM (Postal Code: SA71 4RJ). This sports centre provides 25 meters, 4 lanes, Indoors. Contact information for this Swimming Pool similar to phone number and email address are number. Updated on 2019 Heol Dyfed , Fishguard , Wales , UNITED KINGDOM (Postal Code: SA65 9DT). Swimmers like you reported 25 meters, 4 lanes, Indoors. Phone number and e-mail address are number for this Pool. Updated on 2019 Dew Street , Haverfordwest , Wales , UNITED KINGDOM (Postal Code: SA61 1ST). Among all the activities provided by the centre, if you are thinking about swimming you may enjoy 25 meters, 4 lanes, Indoors. If you need to contact this Swimming Pool, email address and phone number are both number. Updated on 2019 29 Pendwyallt Road , Coryton , Cardiff , Wales , UNITED KINGDOM (Postal Code: CF14 7EF). Among all of the activities offered by the centre, if you're interested in swimming you will appreciate 25 meters x 10 meters, Indoors. Just in case you desire to make contact with this Swimming Pool before dropping by, we only know the phone number. Updated on 2019 Marsh Road , Tenby , Wales , UNITED KINGDOM (Postal Code: SA70 8EJ). This sports centre offers 25 meters, 4 lanes, Indoors. Contact information for this Pool for example phone number and e-mail address are number. Updated on 2019 Nantyglo Comprehensive School , Pond Road , Nantyglo , Wales , UNITED KINGDOM (Postal Code: NP23 4BL). Among all of the activities offered by the centre, for anybody who is interested in swimming you might enjoy 25 meters, Indoors. If you need to get in touch with this Swimming Pool, e-mail address and phone number are both number. Updated on 2019 Pentrefelin , Amlwch , Wales , UNITED KINGDOM (Postal Code: LL68 9PG). Among all the activities offered by the centre, if you are interested in swimming you will enjoy 25 meters, Indoors. Just in case you wish to contact this Pool before dropping by, we only know the phone number. Updated on 2019 Greenwood Street , Barry , Wales , UNITED KINGDOM (Postal Code: CF63 4JJ). Swimmers like you reported 25 meters, 6 lanes, Indoors. Phone number and e-mail address are number for this Swimming Pool. Updated on 2019 Penrallt , Llangefni , Wales , UNITED KINGDOM (Postal Code: LL77 7LY). Swimmers like you reported 25 meters, Indoors. Unfortunately we do not have the e-mail address of this Swimming Pool, but we can provide you with the phone number. Updated on 2019 Ham Lane East , Llantwit Major , Wales , UNITED KINGDOM (Postal Code: CF61 1TQ). Among all the activities offered by the centre, if you are thinking about swimming you can enjoy 17 meters, 4 lanes, Indoors. If you need to contact this Pool, email address and phone number are both number. Updated on 2019 The Ynys , Aberdare , Wales , UNITED KINGDOM (Postal Code: CF447RP). This sports centre provides 33-1/3 meters, 6 lanes, Indoors. For this Swimming Pool, only phone number is number here. Updated on 2019 Caemawr Road , Porth , Wales , UNITED KINGDOM (Postal Code: CF39 9BY). Among all of the activities offered by the centre, if you are thinking about swimming you will appreciate 25 meters x 12 meters, 5 lanes, 0.9 meters - 1.9 meters depth, 0.9 meters - 1.9 meters depth, Indoors. Just in case you want to contact this Swimming Pool prior to dropping by, we only know the phone number. Updated on 2019 Tir Meibion Lane , Southgate Park , Llantrisant , Wales , UNITED KINGDOM (Postal Code: CF72 8DQ). This sports centre offers 25 meters, 4 lanes, Indoors. For this Swimming Pool, only phone number is number here.